As mentioned above, diabetes is associated with complications involving the eyes, kidneys, blood vessels, and heart. 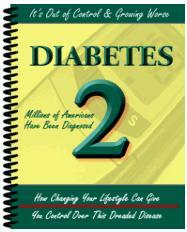 However, not all individuals with diabetes develop these complications. There is increasing evidence that there are genes other than those that increase susceptibility to developing the disease that may influence susceptibility to developing its complications. These genes are not yet identified, but they are likely to interact with other known risk factors for complications, including poor blood-sugar control and increased blood-pressure and blood-cholesterol levels. see also Complex Traits; Disease, Genetics of; Gene and Environment; Gene Discovery; Immune System Genetics; Mitochondrial Diseases. American Diabetes Association. 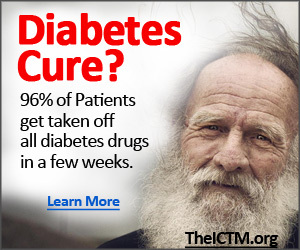 <http://www.diabetes.org>. Joslin Diabetes Center. <http://www.joslin.org>. Juvenile Diabetes Research Foundation International. <http://www.jdrf.org>. National Institute of Diabetes and Digestive and Kidney Diseases. <http://www.mddk .nih.gov>. Online Mendelian Inheritance in Man. Johns Hopkins University, and National Center for Biotechnology Information. <http://www.ncbi.nlm.nih.gov/Omim>. Genetics is believed to play a role in almost every human disease. Even for diseases traditionally described as environmental, such as tuberculosis and HIV, scientists are discovering that genetics is implicated either in the susceptibility to infection or in the severity of the disease. In some disorders a variation within a single gene is sufficient to cause disease, while in other disorders variations within a gene must interact with the environment and other genes to cause disease. The goal of human medical genetics is to identify all the genes that are involved in human disease and determine how the genes function to cause susceptibility to disease. This knowledge leads to the development of successful therapies that improve the quality of life of affected individuals and their families.